The first and second place finishers in the Parkville Classic. 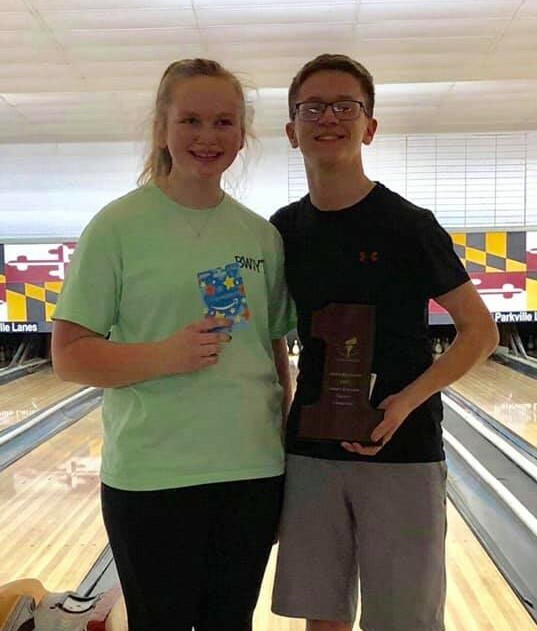 Youth Feb Challenge Match 2018 1st Place Team from Parkville Lanes of Rusty Potts Jr., Gabby Baker, Thomas Pfarr, Alison Meister, and Riley Stem. Congratulations team! The North/South Challenge Match 2018 1st Place Team from Parkville Lanes of Henry Shaw, TJ Leitch, Alex Feiler, Austin Young and Josh Pearson. Congratulations guys!